Kamdhenu Expeller Industries (KEI) offers a wide range of Oil Expellers having efficient and excellent Commercial Viability, both for Indian and International markets. The Oil Expellers are simple in design and serve the varying needs of the end users without much complexity. Since, the last two decades “KEI” has been successful in catering to the varied demands of all its esteem customers around the globe, in a very professional and skillful manner. The Kamdhenu Oil Expellers are efficient in crushing a variety of non-edible and edible oil seeds for the purpose of oil extraction. The oil extracted from these oil expellers is pure without any chemical impurities. Oil seeds such as groundnut, coconut or copra, almond, flax seed, cotton seeds, mustard, rapeseed, sunflower, safflower, linseed, sesame, jatropha, neem, karanj (pongamia) etc. can be considered for crushing in Kamdhenu Oil Expellers..
Kamdhenu Expeller Industries are offering to their valuable customers as well as clients Sunflower Oil Expeller Machine. 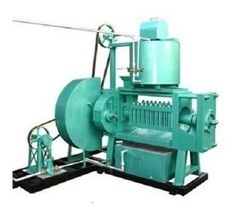 Sunflower Oil Expeller Machine can crush Sunflower seeds. Moreover, Sunflower Oil Expeller Machine can crush a ground nut, linseeds, mustard seeds, palm kernels, seeds, sunflower seeds etc. 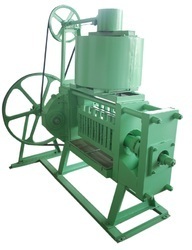 Since our beginning, we are engaged in presenting a wide range of excellent quality Cotton Oil Expeller. The expeller is manufactured using steel fabricated base structure. Apart from this, clients can get the expeller from us at industry leading rates. Cast steel chamber of three section is vertically hinged Size Dia. 6" x 37" Long. Case hardened worm assembly with hard faced discharge ring & sliding ring. Owing to the expertise of our team of experienced professionals, we are able to introduce an exclusive range of Single Phase Expeller. The provided expeller is manufactured using premium quality material and latest techniques. Additionally, our provided expeller is processed adhering to industry standards and quality norms. Furthermore, clients can opt for different dimensions according to the specific business needs. In addition, expeller offered by us has gained high appreciation among our clients. Besides, clients can avail the expeller from us at cost effective rates. Owing to the expertise of our team of experienced professionals, we are able to introduce an exclusive range of Soyabean Oil Expeller. The provided expeller is manufactured using premium quality material and latest techniques. Additionally, our provided expeller is processed adhering to industry standards and quality norms. Furthermore, clients can opt for different dimensions according to the specific business needs. In addition, expeller offered by us has gained high appreciation among our clients. Besides, clients can avail the expeller from us at cost effective rates. We are successfully ranked amongst the topnotch entity offering a wide range of Groundnut Oil Expeller. 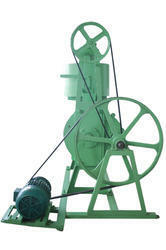 The Groundnut Oil Expeller machine is manufactured using quality alloy and approved components. This Groundnut Oil Expeller is equipped with a motor, filter, distiller, filters and control panel offering high performance with stable output. Clients can get the expeller from us at cost effective rates. 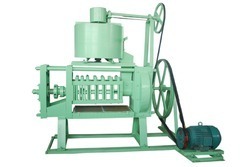 Kamdhenu Expeller Industries (KEI) offers a wide range of Tel Ghani or Cold Press Oil Mill or Wooden Tel Ghani having efficient and excellent Commercial Viability, both for Indian and International markets. The Tel Ghani or Cold Press Oil Mill or Wooden Tel Ghani are simple in design and serve the varying needs of the end users without much complexity. Since, the last two decades “KEI” has been successful in catering to the varied demands of all its esteem customers around the globe, in a very professional and skillful manner. 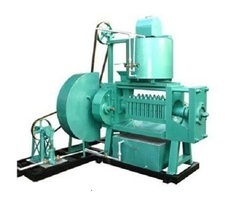 The Kamdhenu Tel Ghani or Cold Press Oil Mill or Wooden Tel Ghani are efficient in crushing a variety of non-edible and edible oil seeds for the purpose of oil extraction. The oil extracted from Tel Ghani or Cold Press Oil Mill or Wooden Tel Ghani is pure without any chemical impurities. The Tel Ghani or Cold Press Oil Mill or Wooden Tel Ghani can be used in any country. For more details, please drop in a inquiry, with your full name, complete address and contact information. Power (kw) 10 H.P. to 100 H.P. 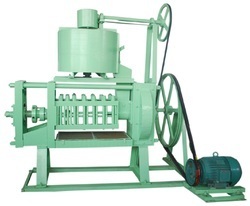 Kamdhenu Expeller Industries (KEI) offers a wide range of Neem Seed Oil Expellers having efficient and excellent Commercial Viability, both for Indian and International markets. The Neem Seed Oil Expellers are simple in design and serve the varying needs of the end users without much complexity. Since, the last two decades “KEI” has been successful in catering to the varied demands of all its esteem customers around the globe, in a very professional and skillful manner. The oil extracted from the Kamdhenu Neem Seed Oil Expellers is pure without any chemical impurities. For more details, please drop in an inquiry, with your full name, complete address and contact information. We have emerged as a notable Manufacturer and Trader of Oil Expellers, Filter Press Machine, Baby Boiler, Dal Mill Machine, Sugarcane Crusher and many more.